This home is INTACT after the Spring Fire, the last 6 pictures are taken AFTER the Fire! 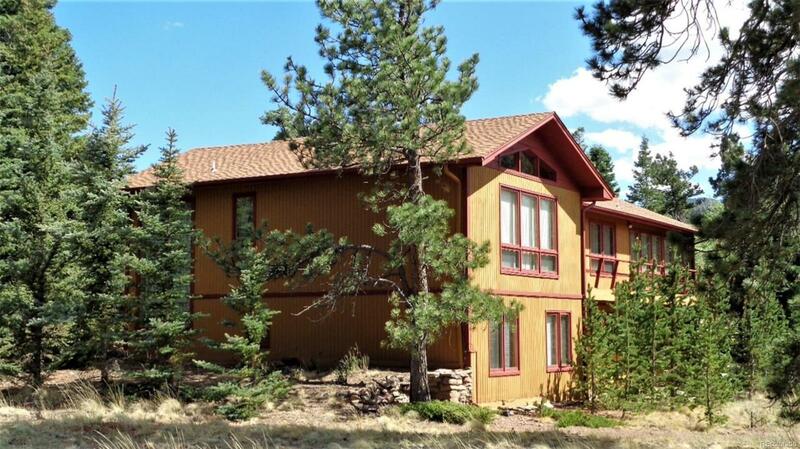 Beautifully landscaped, very well maintained, spacious mountain home at 9000 ft in the Sangre de Cristo mountains. Forbes Park is a covenant protected, gated community with year round access. With 3 bedrooms, 3 bathrooms and a beautiful, large sunroom with hot tub, large kitchen, dining room and large living room you will have plenty of room to entertain friends and family. There is a woodshed next to the detached garage and a large workshop in the lower level of the house. All furniture and an F-150 truck are included in the price. Lots of windows and a wrap-around deck showcase spectacular views of Blanca Peak, Mount Lindsey and Little Bear and meadows teaming with lots of wildlife. Newly installed ultra efficient, large Rheem water heater, one newly remodeled bathroom, new blind in upper level, new garage doors, new septic system, new dishwasher and microwave (4 yrs old). Did I mention VIEWS!! !